Buy a product from a brick and mortar store and the payment process will seem simple enough. You’ll line up at the cash desk, and present your purchases. The sales assistant will scan the barcodes and tell you the total. You’ll push your credit card into the reader and enter your PIN. Press the green button and out comes the receipt. You’re done. Behind the scenes, though, all sorts of things will have happened. Scanning the barcodes won’t merely reveal the product’s prices. These barcodes also update the store’s inventory, they tell the store which products are selling, and if you’ve also supplied a loyalty card. The barcode also makes a record of your personal preferences to enable future targeted advertising. As soon as you enter your credit card’s PIN, a message is sent to the store’s bank, to the credit card company, and to your bank. The messages check your credit, making sure that you haven’t exceeded your limit, transferring funds and adding another line to your credit card bill. It all happens in an instant, and after just a few seconds, the entire process from payment demand to payment made to the store is complete. The transaction is finalized, and you’re free to leave with your purchase, your debt to the store fulfilled. For freelancers and businesses operating online, though, the process is much more involved. Online stores have the advantage of being able to demand payment before they release the product -- but their online payment systems are rarely as simple as a credit card reader. The result is that as many as three-quarters of online shopping carts are abandoned before the customers reach the checkout. Freelancers and service providers have an even bigger challenge. They usually invoice the client after the work has been done. That means they need a way to create and send the invoice. Freelancers need an easy way for the client to pay the bill. They need a way to track their payments so that they can see which invoices remain outstanding and which invoices have been paid. Those needs are met by online payment platforms. At their simplest, a payment platform provides a place to accept and hold funds. Good online payment solutions do much more than that for the freelancer. The platform also provides a way for business owners and freelancers to keep their work organized. They allow clients to make their payments in ways that are most comfortable for them, lowering the risks of non-payment and ensuring faster transactions. 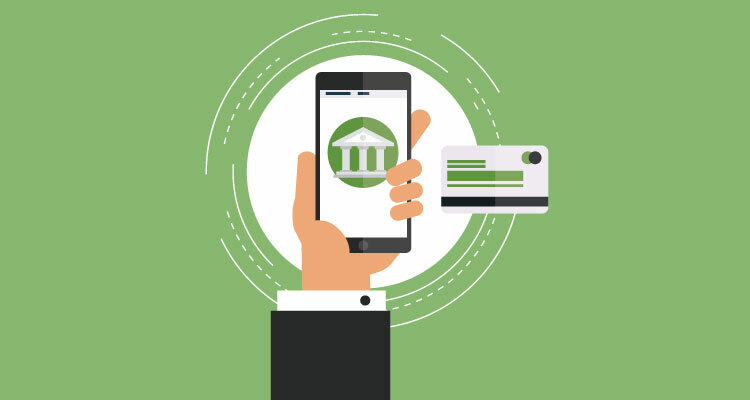 A good payment platform will provide multiple options for payments and provide a professional image that can hasten payment processing and deepen business relationships. Making use of those platforms is simple. Registration is free, and the only costs are usually a small fee for each completed transaction. To get the best out of these platforms, though, freelancers and business owners will need three things. The first is a bank account. 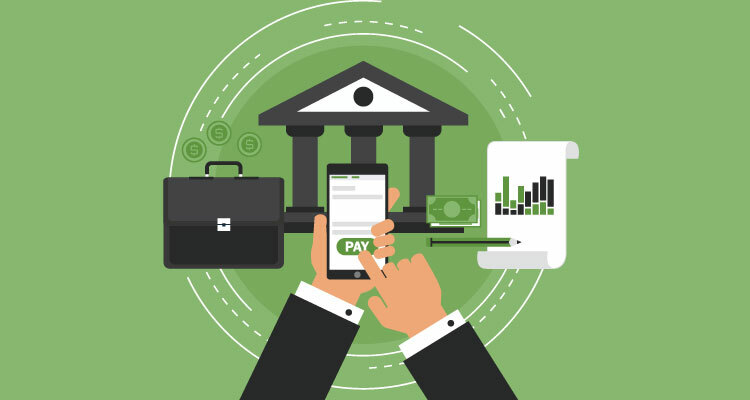 While some online payment platforms can function effectively as banks, issuing credit cards, offering interest and savings accounts, and allowing transfers, traditional banks provide a broad range of services. They’re usually the final destination for the funds paid by clients. Payment platforms often require the registration of bank account details. Once you’ve registered with an online payment platform, you’ll want to be able to pull out your funds whenever you want and even add money whenever you need to, in order to make your own online payments. Secondly, you’ll need some sort of online business. That doesn’t have to be an online store as large as Amazon. A website with downloadable products is good enough. A site with a rate card and an email field will do. But if you’re taking orders online, whether it’s for products or services, you will also need a way to request and receive money online. The last thing you’ll need will be a little bit harder for you. You’ll need to understand that you have to be organized. Online payment platforms aren’t just a way to accept payments. They’re also a way to retain control over an aspect of a business that is rarely fun. No one ever opens a business with the aim of listing the work they’ve completed, sending out requests and reviewing their accounts. People open a business to supply a service or product that they enjoy creating. But keeping the accounts up to date, tracking late payments and ensuring that clients and customers have an easy way to pay is part of the job. It’s not the most fun part of the job but it is an unavoidable part of it. The smoother the process of invoicing and accepting the payments, the less work the freelancer or business owner has to spend on the bureaucracy and the more ordered their invoicing will become. With the right choice of a payment processor, the freelancers will be able to issue invoices quickly. They’ll be able to expect their payments to be made on time. And, if a payment isn’t made on time, they’ll be able to spot the error quickly and track it down. They’ll even be able to see how quickly their business is growing and how much money it’s earning every month. Only accountants want to spend entire days reviewing pages of cash flow and checking accounts. A good payment system makes that essential task quick and easy. 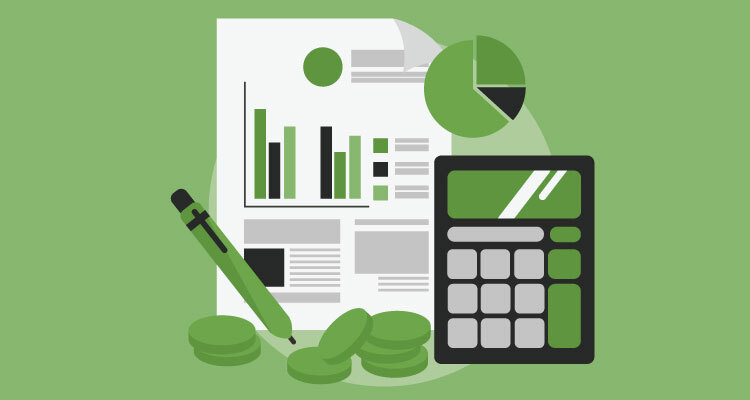 But to make the most of this process, you need to understand the benefits of organized accounts and the degree to which they can make your business run better. 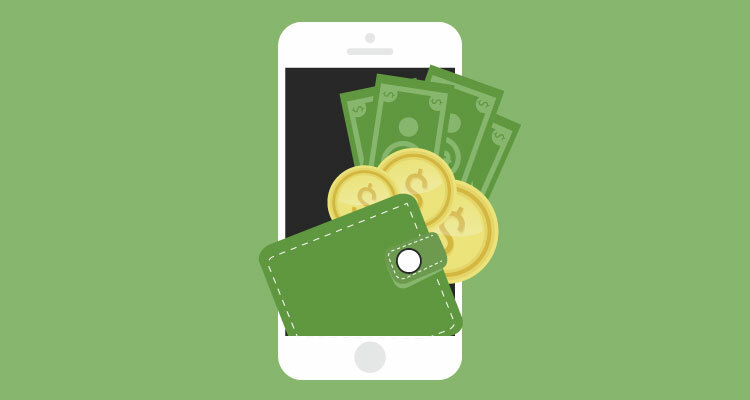 In this guide, we’re going to explain how to accept payments using an online payment platform. We’ll start by talking about online invoicing. This is where it all begins, and just as the payment process in a brick and mortar store is more complex than it looks, so the process of requesting and receiving payments has more features and benefits than you might expect. We’ll look at them all, from how to create an online invoice to keeping your transactions secure and keeping your productivity in check. We’ll then talk about credit card payments. While you can accept payments directly on Due, you can also widen your customer and client base by allowing payments by credit card. It’s not free but it is worth the small expense. We’ll discuss why you should accept credit cards, how you should accept them and how the whole process works. A new way of accepting online payments is through digital wallets filled with eCash. It’s not always the right solution for businesses but when it works, it’s a fast, reliable way to transfer funds and close transactions. We’ll talk through the set-up, how to use it, when to use it, and what the risks of using it might be. Finally, selling online allows you to turn the entire world into your customer base. That means being able to accept international payments. When you’re offering goods and services on the Internet, you want to be able to accept payments from every corner of it. We’ll briefly explain what you need to know, what you need to consider, and how to do it. By the time you’ve finished reading this guide, you should be ready to do begin accepting payments online for your business. But you’ll able to do much more than that. You’ll also be able to accept online payments from all of your clients, in the way that they want to make those payments, and in a way that lets you stay in control of your accounts. You might not own a bricks and mortar store with a barcode scanner and a credit card reader. But you can still accept payments just as easily while giving your business the organization and the accounting data you need to run a successful business. The work is done and the client is happy. Now you get to stretch out your hand and ask for payment. ...or you would be able to collect your payment in this manner if you were a blacksmith in the nineteenth century who had just hammered a horseshoe for the local squire. If you’re a freelancer or online business owner in the twenty-first century, you have to put together a document explaining how much you want to get paid, for what and how you expect the payment to be made. You have to send that document by email and keep a record of it that you can see it on your computer and know whether it’s been paid or remains outstanding. It’s a task that’s simple to perform. It takes a bit of setting up but once it’s done, you’ll always be able to ask for payments for your work. You’ll never forget to invoice a client. You’ll always send reminders for overdue payments so that work completed a couple of months ago doesn’t get forgotten. With Due, you’ll even be able to track the time you spend on your work so that you can increase your productivity and get to send out more invoices more often. That’s always a great reward. 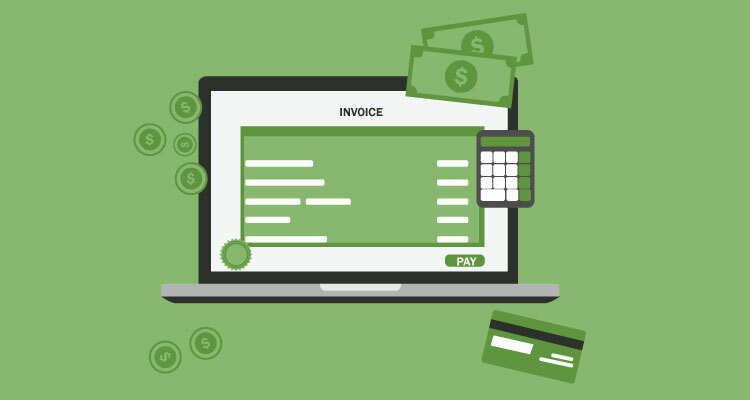 Knowing how to send an invoice correctly isn’t hard but it’s the first step towards creating an organized and reliable payment system for your business. At the top of the dashboard is a Create Invoice button. “Create Invoice,” is also the first section of the dashboard because it’s the most rewarding part of accepting online payments. We wanted that payment request to be easy to find. The invoice itself is straightforward but you’ll notice that it looks professional. It’s not a simple document. It was designed so that a client or customer receiving the invoice would understand that it’s not coming from an individual they can ignore but from a business that has the resources to make sure that they pay. The invoice you send should look as powerful as the bill sent by a utility company, the cable company or even the inland revenue. It should be something that demands action. Your invoice should be divided into three sections. The first section is about you and it’s also about the client. This is where you declare “This is who I am, and I know who you are.” Each of those fields is important. The logo that you can upload to replace the placeholder isn’t just there to show where the invoice is coming from. It’s part of your branding and it’s an essential element in ensuring that your business looks professional. The address lines are straightforward but there’s a good reason that they’re there. Include your address, with your email address, and the company will never be able to say that they couldn’t contact you. Even when you’re only operating online, your address shows that you’re real. Writing the client’s address has the same effect. It tells the business that they’re treating them like a professional and you expect them to behave in a professional manner. That may sound like a great deal to read from a couple of essential details but an invoice is an important document and one fraught with risks. If it’s not acted on, a series of events will follow, none of which will be pleasant for either party. You will have to send a reminder, call to find out the problem and neither of those actions brings results, consider suing to recover the debt. All of that takes time. All of it takes you away from the work you’d rather be doing. Some of it costs money, even a lot of money. You want to avoid any part of that process. The best way to do this is to make it clear to the recipient of the invoice, that ignoring it will impose a stiff penalty. The invoice isn’t a request. It’s a demand for payment that needs to be acted on. For most recipients, that reminder won’t be necessary but completing those address fields contributes to the appearance of a professional document that cannot be ignored. We’ll give you a random number that you can change, and the following invoices will rise by one automatically. While you can change those too, it’s best to let the numbers increase by themselves. You want to be able to find an invoice easily, that a client is disputing or dig out an invoice that’s outstanding. But you also might not want to reveal that a client is your first or how quickly your business is growing. Whether you choose to keep the random first number that Due provides or set one of your own, avoid starting with “0000001” and keep the automatic numbering so that you can see how quickly your invoices are growing and make sure that none is missing. With our invoicing solution, we automatically default to a random invoice number to avoid this. The Issue Date will be the day you send the invoice and it will be set automatically. The Due Date is more complex. By default, we make the due date the same as the issue date so the recipient knows that they should pay right away. That’s a pretty good standard, and it’s how most freelancers invoice. But if you’ve agreed on a different date with the client, you can reset this field, putting on the last day of the month, or the invoice date plus-30 or plus-60. Without that date, the client can hold off payment indefinitely, arguing that they’re never in default and always plan to pay. The next two fields are useful little extras that Due includes in the invoices settings. If you’re delivering a fixed service, such as server maintenance, social media management or blog posting, you can have the same invoice issued automatically at a regular frequency. You can also determine how many times to send the invoice if the contract is for a set period. It’s a very useful way to save the time spent each month or each week completing the invoice forms again and again. The same invoice will go out at the same time at the frequency you’ve set, allowing you to focus to on the work instead of the paperwork. 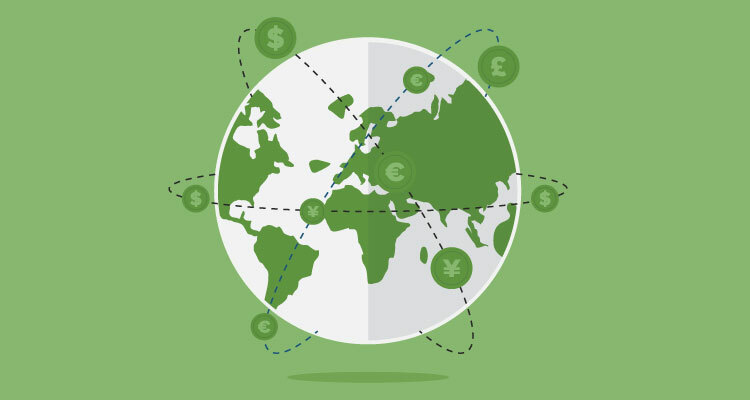 One of the advantages of using Due is that you can accept payments in a wide range of currencies, making it easy to do business with clients around the world. The default choice is US dollars but you can also choose from Bitcoin to Swedish Kroner to Chinese Renminbi. Ask the client to pay in their own currency, and you’ll be able to convert it whenever you think you can get the best rate. And finally in this section, the Total amount Due is calculated automatically from the service details—and that’s where things start to get really interesting. The Service column on a Due invoice has two fields. You’ll then be able to quote the rate for each piece of work you completed — each hour or each product. The total will be calculated automatically. Click the plus icon at the end and you can add another line. The totals are added automatically to create a sub-total which appears on the invoice before a Discount line. That discount might look like something you’re only going to use on special occasions. It’s a permanent part of the Due invoice because it should be something that you’re using regularly. Even if you’re planning to charge the full price, one common strategy is to quote a higher price when you give the estimate and tell the client that you’re giving them a discount. The client will feel that they’re getting a high-end service for a regular rate, making them more likely to agree, and you’ll have an easier way to increase your prices in the future. It’s always easier to lower your prices than it is to raise them. It’s not something you have to do but it is one good billing strategy. It’s baked into the Due invoice. Then, there is the tax line. You should know which taxes you have to charge and how much you need to charge. There’s no getting around the requirement to collect those taxes so the invoice includes the line to make sure that you don’t forget. Finally, the last section of the invoice allows you to enter some "Additional Notes." Again, you can just leave this blank if you want to, but the minimum you should write is a note of gratitude. It’s only good manners to add your name and a word of thanks. You can then send the invoice immediately or save it to send later. That allows you to write up the invoice as soon as you close the deal and when the details are still fresh in your mind while still having it ready to send once the transaction is complete. All of that sounds like a lot of fields but it’s very simple, it’s very professional and it shows your clients that you mean business. The entire invoice will take just a few minutes to complete and it will leave your clients understanding exactly what they’re being charged for and when they need to pay. When that’s clear, you get paid fast. You might be used to thinking of a user profile on a social media site as the face you choose to show the world. You can show it in any way you want. On Facebook or Twitter, you can be anyone you want. When you’re invoicing a business, though, you need to be accurate. You have to explain exactly who you are and what you’re doing. The User Settings that will set your profile on Due are right at the bottom of the menu, but they’re vital. The first tab only asks for General information. You can put your logo here and must indicate your preferred currency and describe your business. You can also add a mission statement if you want, but you don’t have to. At the bottom of this section, we also ask for information about your sales. We ask the average sale amount, the largest amount you expect to get paid and the amount you expect to get paid each month. That information isn’t intended to limit you, and it won’t. It will simply allow us to spot if anyone is abusing your account. If our algorithms spot unusual amounts flowing through your account, we’ll contact you to make sure you haven’t been hacked. Of course, you’ll also need to add your business details. Your email address is particularly important here. If you don’t put in your real address or if you make a typo here, you won’t be able to receive payments! Your Contact Information is straightforward. Though online payment platforms will demand your social security number as we well as a phone number. Under Emails, you can add any other related emails that you might want to use to receive or send funds. The Legal Information section is short but a touch more complex. You’ll need to supply your company’s Legal Business Name, your Employer ID Number and the Merchant Category Code. You’ll get this when you register with a credit card company. Add the number and you’ll be able to accept credit card payments with Due. That will make it much easier for your customers and clients to pay you. You should be able to find any of the details for your Bank Information on your check book and on your bank’s website in your account settings. Due isn’t a bank. We don’t pay interest on holdings. We don’t make loans, issue check books or offer credit cards. To make the most of the money you’re receiving, you’ll need to have a bank account so that we can transfer the money from the payment platform to that bank account. The Payments section will show you whether you’ve done all you need to do start receiving payments. Under Payment Settings, you can see whether your payments are now enabled, the fee you pay for credit card payments and whether you’re able to receive payments from Paypal. Finally in this section, if you’ve already enabled Due payments, you’ll be able to generate both live and Sandbox API keys. For freelancers who just want to be able to invoice, manage their bills and receive payments, those API keys aren’t likely to be necessary. For developers, they allow Due to be integrated into websites so that clients and customers can make payments directly on the company’s platform. It’s really valuable. 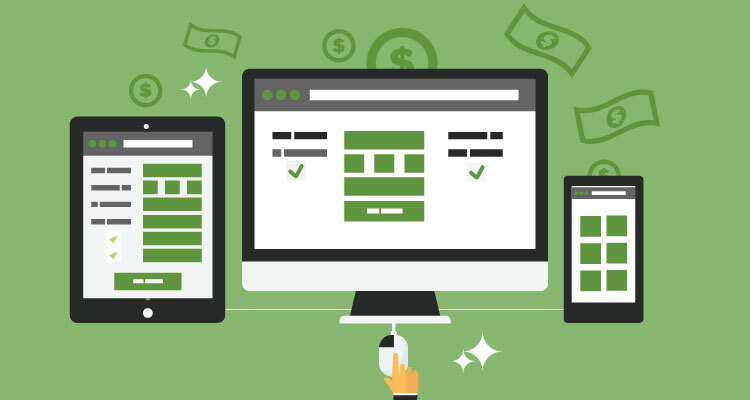 Instead of sending customers to a site that they don’t know and don’t trust, you’re able to bring all of Due’s payment functionality to your own website. It makes clients and customers feel much more confident about entering their credit card details and making payments. If you don’t know to use the API yourself, you can hire a freelance programmer who can integrate Due’s platform for you. Those are all the settings that Due needs. You don’t need to complete all of them to start requesting and receiving money but the more you complete, the more professional your business will appear. Due doesn’t function as a bank. While we love to see money flowing into your account, we don’t expect you to keep the money on the platform. We assume you’ll transfer it to your bank account. Once you’ve added your bank account details to your settings, that will happen automatically. It takes one to two business days before you see the money in your account but if a transaction is completed before 6 pm EST, it will usually be in your bank account the next day. The amount of time those transfers takes depends on how long you’ve been using the platform and the amount of money you transfer. The more you use a platform, the more trust you build and the faster the processing system can work to send the funds to your bank. Sometimes, though, you might find that it takes a little longer than you expect. Online payment platforms should automatically check accounts for fraud so we run algorithms that can spot unusual activity. That might include a particularly large amount of processing activity, suspiciously large sums, frequent chargebacks, errors in the application information, and so on. In general, though, you should find that once you send a professional invoice, the client pays on time, and the money drops right into your bank account before you’ve even noticed. A web of laws governs how payment platforms handle funds on behalf of clients. They ensure that the funds are secure both during processing and when they’re stored on the platform, and they make sure that any data transmitted during the transaction process is carefully protected. The requirements are described in the Payment Card Industry Data Security Standard or PCI DSS. They’re complex and long but because the payment platform has to read it and understand it, you don’t have to. You will see the effect of those PCI regulations in the way you use the platform. Due is completely PCI-compliant that we have to ask users to enter a certain amount of personal information, including telephone number, address and business EIN. None of that information is shared with anyone. We have to ask for it because the law requires us to, but we only use it to ensure that financial flows are legitimate. When you’re managing businesses’ payment processes, confidentiality is always vital. That’s also why we use 256-bit SSL encryption and security systems certified by VeriSign and Norton. An online payment platform might not be a bank but it needs to be as secure as one. That doesn’t mean there aren’t things that users shouldn't be doing to keep their payment platforms secure. 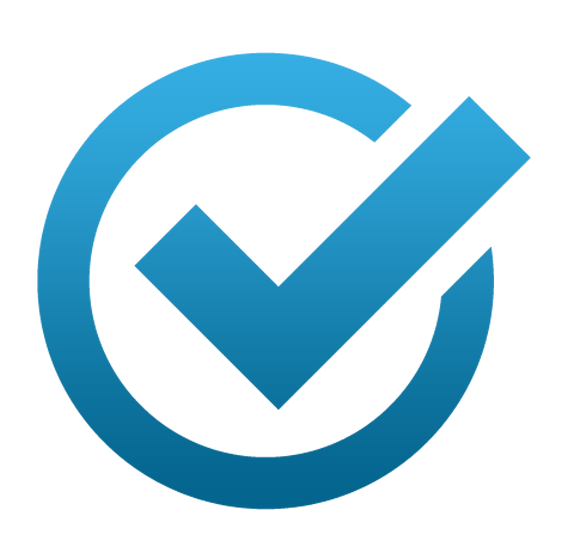 Due, an alternative to PayPal, transfers funds to bank accounts as soon as they came in. We don’t face the same kind of risks as Paypal and other platforms. If someone hacks into your account, they won’t be able to send themselves all the funds that you’ve received over the previous months. But they would be able to divert future funds and they would be privy to your cash flows. You'll use a password that you’re not using anywhere else. Make it hard to crack by combining numbers, letters, and capital letters. If you need to store the password on your computer somewhere, use a deceptive name for the file or use a secure password app designed to keep your passwords safe. LastPass is good and free; Dashlane is good and expensive. And don’t log in to your payment platform when you’re in a public place. This may sound obvious but it might be harder than it appears. Freelancers and people working for small businesses are now used to taking their laptops to their local Java bar where they can find a desk far from small children and with an endless flow of cakes and coffee. But not only are the public wifis in cafes easily hacked (although they’re unlikely to be), space itself isn’t private. Anyone walking behind you will be able to see your screen, how much you’re earning and who’s paying you. The most confidential part of your business will be on display to anyone with the smallest amount of curiosity. But not only are the public wifis in cafes easily hacked (although they’re unlikely to be), the space itself isn’t private. Anyone walking behind you will be able to see your screen, how much you’re earning and who’s paying you. The most confidential part of your business will be on display to anyone with the smallest amount of curiosity. You can buy special screens that restrict the viewing angle of your laptop monitor but in addition to keeping your password safe, you should also avoid using your payment platform in a public place. Use the café to work on your projects but wait until you get back to your office before you pull up your accounts and start sending out your invoices. It will help to keep your account details as secure as the steps we take to be PCI-compliant. If you do think that someone has hacked your account, tell us right away so that we can look into it, and ask clients to hold off on completing their payments until you’re sure that your account is safe. In the rare event that something is wrong, our algorithms will probably the first to spot it. We’ll alert you before you even notice anything yourself — and before any damage can be done. The main reason for using a payment platform is to request and receive money. It’s the most professional, efficient and effective way for a small business or a freelancer to be paid for their work. But a payment platform will do more than simply send out an invoice, take the money and pass it on to a bank account. It will also provide a record of cash flows. This makes a vital part of running a business so much easier. As a freelancer or small business owner, you’re going to have to keep track of your invoices. Sending out those invoices each month is simple enough. But while most clients will pay on time not all of them will, so by the time you send out the next batch of invoices you’re likely to still have some invoices outstanding. If you’re not aware of which invoices haven’t been paid, you won’t be able to issue a reminder. Those unpaid invoices will slip through the cracks, costing you a great deal of money. According to the Freelancer’s Union, 44 percent of its members have encountered clients who didn’t pay and they averaged over $10,000 in unpaid invoices. It took on average 36 hours to track down each missing payment. You can assume that occasionally clients will pay late. They might have cash flow problems. They might still be reviewing the work you’ve submitted. They might simply have forgotten to send the funds. Serve enough clients and you will run into those issues. You might even run into them every month. You need to be able to spot those outstanding invoices easily enough to make sure they’re not forgotten and that the bills are paid eventually. A payment platform should give you an easy way to see those bills. On Due, we show you all the invoices that you’ve created over a period of your choice. The default is to see all of them but you can then apply filters that show you which invoices have been created, which have been viewed by clients, which have been sent, and which have been paid. By exclusion then, you can also see which invoices remain unviewed and unpaid. Get into the habit, whenever you issue invoices, to check which invoices have not yet been opened or paid. Know when those invoices are due, and be sure to contact your clients whenever your payments are late. If a month has passed and the invoice hasn’t been paid, you’ll need to start the process of demanding payment, the first step of which is a friendly reminder. Keeping all of your invoices on one platform will bring another important benefit: you will be able to see the value of the work you’re generating each month. For freelancers, in particular, that’s vital. Work expands to fill the time available so when orders are low, hours don’t free up; productivity falls instead. Adding the total value of the invoices sent each month reveals how much billable work you were able to produce during that period. Record that amount in Excel and plot it on a graph, and you should be able to track the growth (or decline) of your revenues. You can watch your business grow — or stop its fall before the business collapses completely. Due makes seeing those monthly totals very easy. What you’ll usually find when you contact a client about non-payment is that they’ve forgotten. They received your invoice, made a mental note to pay it later then forgotten all about it. The invoice was quickly buried in their inbox and the invoice remained unpaid. Send them a reminder and you’ll get a quick, embarrassed email back, thanking you for the heads-up and sending you the payment. Sometimes, though, there’s a bigger problem. Clients can run into cashflow problems. They might not be able to send all of the funds they owe at the time they’re due. They could need more time. That isn’t fair. If a payment plan hasn’t been worked out before the job begins, you should be able to assume that you’ll get paid within a month of sending the invoice. The client should have money set aside to pay their bills. But fair or not, it does happen sometimes, so you’ll need to work out a new payment schedule that meets your client’s ability to pay. You might want to add interest to the plan to give the customer an incentive to close the account faster but as long as the client is going to pay, the emphasis should always be on getting the funds and keeping the client. Their next job might be more reliable and you’ll know what to expect. Customers should receive more than a single chance. Stay in touch with your client. Encourage openness and honesty about the situation and be prepared to be flexible about payment terms if the client needs a bit of help. You should find that you get paid eventually and win more jobs in the future. Occasionally, though, you’ll run into an even more serious problem: the client might not be happy with the amount you’ve charged. Hopefully, this won't happen often. Both sides should know exactly how much the work will cost before the invoice is delivered. If the project suffers from “mission creep,” if the parameters grow after the quote has been accepted, you should explain that you’ll be updating the amount as the new requests come in. Demand more money than both sides have agreed, and you shouldn’t be too surprised if the client balks before paying. If that does happen, you can start by explaining the reason for the price difference. You should also be willing to negotiate the price down, especially if you want to keep the client for future projects. If you’re springing a surprise on your client, you might need to be flexible; once the work is finalized, they’re holding all the cards. So it’s best, to be honest, up-front and tell the client before you start work when you need to charge more than the original estimate. The biggest concern of all though is when the client isn’t happy with the work. Again, this shouldn’t happen. You should be capable of completing the work for which you or your company have been hired. The client should have seen samples from your portfolio. If the project were long, you should have been meeting milestones and sending sections for review and feedback. There shouldn’t be any surprises at the end. But when you’ve been in business for a while, it can happen. Clients say they want one thing… until they see it when they’ll say they wanted something else all the time. You can misunderstand the guidelines. You can miss your deadlines. Solutions here are much more complex. The first step is to try to fix the problem. Find out what the client didn’t like, get as much detail as possible and apply the edits. You should be able to think of this as part of the job. Changes can happen after the work has been submitted, and that time needs to be worked into the quote. If the problems are too large to be fixed easily or if the client is so disappointed that he plans to turn to someone else to fix them, then you can try to negotiate so that you receive some of the money and the client can still use some of the work. But, if the client doesn’t want to pay at all, then you’ll have two options. If you’ve used an escrow service, you can ask the escrow agent to rule on the payment. Otherwise, you can turn to mediation services such as the American Arbitration Association, JAMS, or the National Arbitration Forum to work out a solution. They’re a good alternative to starting legal action to recover an unpaid invoice. The worst case scenario is if the client refuses to pay, refuses to go to arbitration and you’re left wondering whether it’s worth going through the time and expense of going to the small claims court. In general, courts are places you want to avoid as much as possible. Even if you win, you’ll still have to waste more time trying to collect on the judgment. None of that is as much fun as doing the work you’d prefer to be doing. You might well find that occasionally, you have to write off the odd small project as the cost of doing business. To make sure that that happens as rarely as possible, prepare before sending the invoice… and even before starting the project. A contract should lay out exactly what the work involves when it will be delivered and how much it will cost. Escrow arrangements should be described in the event of a dispute, and the contract should include a dispute resolution clause in which both sides agree to arbitration if there’s a disagreement. There should be no surprises on either side. Both buyers and sellers are usually honest, decent people who just want to complete a transaction. When problems do occur it’s usually because something wasn’t clear before the invoice was even sent. Whenever a dispute begins, your first contact following an unpaid invoice should always be soft and friendly. Assume the best of the client until they’ve given you a reason to feel otherwise. Only once it becomes clear that they would prefer not to pay should you try to tighten the screw. One way to do that is to separate the project winning and its completion from its invoicing. Companies can assign an employee the exclusive task of recovering debts. You get to retain your personal connection with the client but your accountings employee can be as tough as necessary with a remit to focus on ensuring that payments are made. 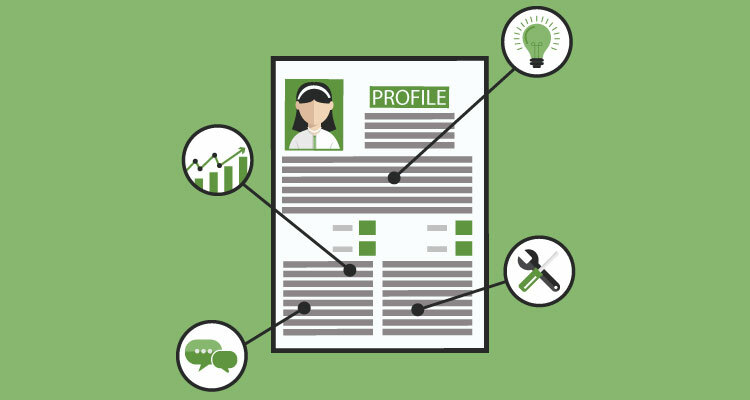 Some freelancers have even been known to do this themselves, using two personalities and separate email addresses. It’s not a great idea but it’s one way to act as a tough debt collector while still keeping the client for future projects. In general, though, while disputes are inevitable if you’ve been in business for a while, they’re not common. Being clear before the project begins about the nature of the work and the amount it will cost will help to minimize problems after the invoice has been sent. A flexible attitude will also help to solve many of the remaining problems that can occur with invoicing and save money. Most of the invoices you create will be drawn up from memory based on the work that you’ve completed. You’ll look back at the job you finished for a client, check the quote you gave before the work began and invoice the agreed amount. Sometimes, though, you won’t know exactly how much you need to charge in total. Instead of billing on a project basis, you’ll want to charge by the hour. 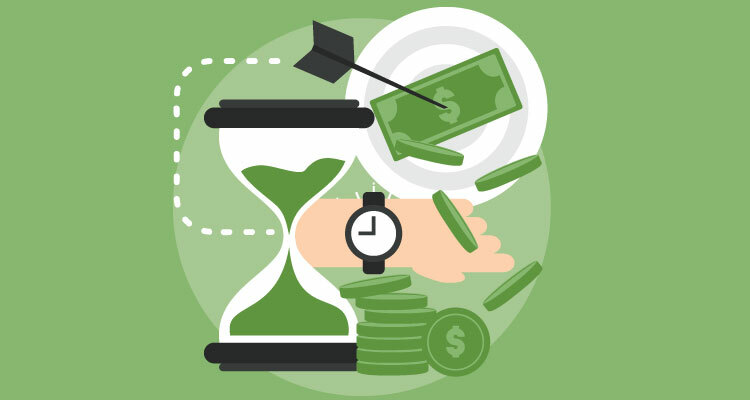 For both clients and service providers, hourly billing poses a challenge. The service provider has to find an accurate way of counting each hour of work: miss the odd hour, and you’ll have cost yourself some income. The client too has to feel confident that they’re being charged the right amount of hours. If a few extra hours have found their way onto the invoice, or if the number of hours has been rounded up, they might be paying more than they should. So a payment platform should also allow for time tracking. It should be able to measure the number of hours spent on a particular task and be able to integrate that information automatically into an invoice. Due’s time tracking tool calculates the number of hours a task takes and integrates the count with the invoicing system. As long as you’ve got the time tracker running while you’re working, invoicing becomes a breeze. The client can be confident he’s not overpaying and you’ll know that your invoice will be an accurate reflection of the amount of time you spent on the project. That might be a4n eye-opener. If work expands to fill the time available then seeing how much time you’re spending on a project — and finding that it’s much more than you expected — can be a bit of a shock. Seeing those hours can be a strong incentive to work faster, as can knowing that you’re being timed. Working with a time tracker might not be the most comfortable thing to do (no one likes to feel that someone is standing over their shoulder with a stopwatch,) but it may well be the most productive thing that you can do. It also helps to retain trust with your clients. Tell a client that you’ll be using a time tracker to keep track of the number of hours that you work, and the confidence that they’ll feel in your invoice makes it more likely that they’ll pay without any problems. While freelancers will find that using a time tracker saves time spent creating invoices and also improves their productivity. Small businesses should also find that time tracking creates opportunities to increase their work rate. The analytics that time tracking software generates will show which employees are being the most effective and the most productive, and which are slacking on the job and taking far longer than they should. Those businesses will be able to reward those high performers (a good way to compensate them for requiring the use of time tracking software). Those companies will also be able to sit with those who wish to work more quickly and explain to them how much they need to improve their productivity. Rather than just provide a useful way to count hours and create invoices, time tracking is also a hugely effective way to improve productivity and even raise company morale. It won’t suit every business or every project but when you need to track hours, you should be able to do it easily and to import those hours smoothly into your invoices. Invoicing will take up the bulk of the time spent on your payment system. It has to be done regularly so that nothing falls through the cracks. The records need to be clear and easily reviewed so that you can see when a client hasn’t paid and keep track of your revenues. It also has to be done professionally so that clients can see that you’re a real business and that not paying will bring consequences. In this chapter, we used Due’s payment platform as an example of a simple, clear and effective way to create and send invoices, and keep track of payments. In the next chapter, we’ll look at another way of collecting payments online, a method that may appear more complicated than simple invoicing and may look more expensive, but which may be the most popular way for clients to pay and function as a method that’s much cheaper than it looks. Credit card payments are an option for a business of any size. In the next chapter, we’ll explain how to make them work for you. For freelancers the most common way of receiving payments for their work is to issue an invoice using an online payment platform, then wait for the money to come rolling in. But that’s unusual. It’s not how most purchases are made. According to one study, two-thirds of in-person sales are made with credit cards, which is also how most online payments are made. 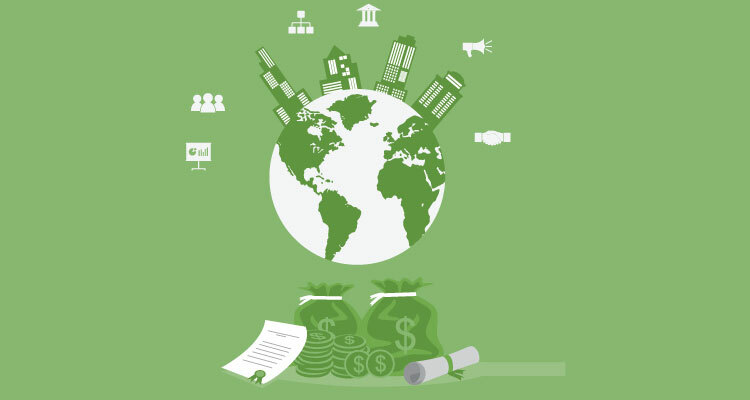 The direct transfer of funds from one payment platform to another, and from there to a bank account, works but it’s an unusual way to do business. Which is why every small business — and every freelancer too — should also be able to say that they accept credit card payments when they send out their invoices. It’s not difficult to arrange and it can bring some unexpected benefits. In this chapter, we’ll explore why you should accept credit card payments, how the system works and how to implement it so that your customers and clients can use the payment method of their choice. There’s one good reason that your business, whatever the size, should be accepting credit card payments: every business should always aim to make life as easy as possible for their customers. That’s how they get to land and keep those customers. Customers like to pay by credit card. They’re used to paying by credit card. But accepting credit cards will also bring a number of other benefits and each one of those benefits is a reason in itself to accept credit cards. First, accepting credit cards means that you get to keep your customers. The reason that you can walk into a retail store and know that it will accept your credit card is that stores have long realized that if they don’t accept credit card payments, they won’t be getting any other kind of payment. The same is true of online retail businesses. If you’ve used Due’s API to build a payment section into your own website, then your customers are still going to expect to be able to make those payments using their credit cards. If they find that you’re asking them to pay some other way, a number of them will click away in frustration. Nearly half of all shopping cart abandonments happen when the store asks the customer to pay. If you don’t make those payments as easy and comfortable as possible, you’re going to increase the abandonment rate. The same is even true of freelancers. While freelance clients might be more used to wiring funds or loading their payment platform with money, it can only help to give those clients an opportunity to pay with their credit card too if they want to. It even creates an opportunity for the freelancer to earn some additional effort-free money by offering products for easy purchase and credit card payment. Credit cards can also speed up the payment process. If you’re asking a client to use a payment method with which they’re not familiar, you can expect a delay. They’ll want to make sure that the channel is reliable. They might need to undergo identity checks before they can move any money. They might decide it’s something they’ll do later… then forget all about it until you send them a reminder. Most clients do want to pay quickly. They understand that their service providers appreciate those fast payments and that winning that appreciation is an easy way to jump to the top of their priority list. But if you’re making them do something they would prefer not to do, then you can expect the process to be slower than it should be. Tell those clients that you’re willing to accept credit card payments and you’ll give them a familiar, fast way to pay. The same is true for small businesses. Retail customers are used to being able to whip out their credit cards to pay for their goods. It takes seconds, even online. Tell your customers that they need to use some other method, and even if they don’t run away, as so many will, there’s a good chance that they’ll assume it will take them longer. It has been shown that the customer will pause the process and come back to it later when they feel they have more time. Once you’ve sent your invoice, you want the payment to be completed as quickly as possible. To ensure that happens, you need to offer as many different payment methods as possible, including credit cards — the payment method of choice for many of your customers. Credit cards can also be a low-cost way of receiving payments. That might sound strange. Credit cards might be known for delivering all sorts of benefits but cost-savings are rarely one of them. They take a cut of the sales price, often around 3 percent, a significant slice of the profit on a sale. But so do other payment methods. The fees charged by payment platforms for many transfers are about the same as the amounts demanded by the credit card companies. Banks will charge a flat rate for a wire transfer, regardless of the size of the transfer. That makes a wire transfer the most expensive payment option for any amount lower than $1,000. Even cutting and cashing a check can be much pricier than it looks when you take into account the time spent writing and processing it -- and that’s if you can find a customer or client willing now to pay by check. Checks are also slow and a long-standing way for clients to delay payment. The headline rate of a credit card fee might be eye-catching but in practice, it’s rarely more expensive than the costs of using other payment methods and in return, you get instant payments. And finally, credit cards may also be the most secure way of accepting payments. Because they’ve been around for decades and are supported by mainstream banks, a great deal of time and money has been invested in making sure that the communications are secure. Balances are checked before payments are completed. The identity of the cardholder and his or her credit status is confirmed. Algorithms look for unusual activity so that the credit card companies can stop fraudulent payments. That doesn’t mean that you’ll never get chargebacks — credit card payments returned after a customer complaint — and it doesn’t mean that credit card numbers are never stolen. But you will have the full support of the banking system to keep that fraud to a minimum. Whether you’re a freelancer hoping to receive payments for small jobs or a retail business keen to take money at the checkout, the ability to accept credit card payments is vital. At Due, we keep the rate we charge for each credit card transaction as low as 2.8 percent. Other merchant service providers can push the fees up to 5 percent. The reason they do that is because the merchant service provider receives only the tiniest slice of that credit card fee. Although merchants might see a single rate on their credit card bills, that slice of your sales price is actually spread out in a number of different directions. The biggest amount is the interchange fee… and trying to figure out your interchange fees isn’t always easy. The interchange fee dominates the credit card fee total so that if you were to pay $2 in credit card fees for a transaction, as much as $1.75 would go to the bank that issued the card as the interchange fee. The remaining 25 cents of that fee would cover a number of other expenses. The credit card company itself will take some for conducting an assessment of the credit-worthiness of the customers. You may also need to pay for a credit card terminal, an annual or monthly fee for the merchant service provider or to access a customer service center, IRS reporting fees, network fees, online reporting fees, chargeback fees (that can be high enough to make sure that they’re as rare as possible) and a whole load more. That price, in other words, has to be spread out in a huge number of different ways, and while some of them (such as chargeback fees) are controllable, not all of them are. The reason that there are so many fees is that while a credit card payment looks simple, especially for the customer, it’s actually a very complicated thing. 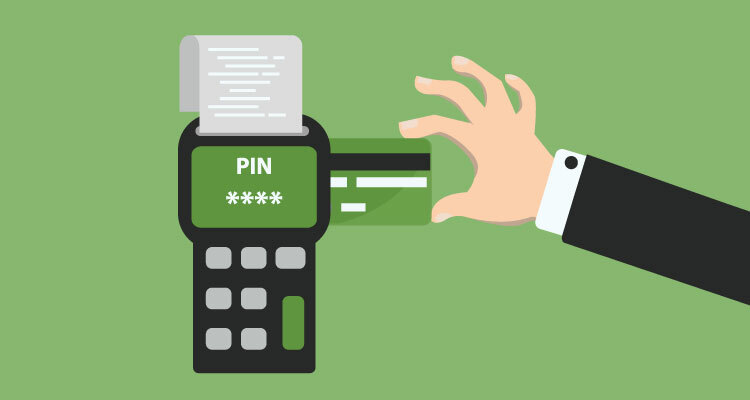 As soon as the card is swiped, the numbers typed in or the PIN entered, a complex process is started. The merchant’s bank will contact the customer’s bank to check the customer’s credit balance, approve the transaction, add another line to the credit card bill, move the money to the merchant’s account and share out the fees for the transaction. It happens in a second, and it happens across a secure network. Considering the complexity of the process involved in paying with a credit card, the fees are remarkably low. We touched on PCI compliance in the previous chapter. It becomes even more important when you’re looking to accept payments by credit card. As we said, it’s complicated stuff, and if you’re not accepting credit card payments, you don’t have to worry about it. But once you make the decision to receive payments by Visa, Mastercard, American Express, Discover or JCB, you will need to be certain that you’re PCI-compliant. The requirements you’ll need to meet to be compliant will depend on your transaction volume over a twelve-month period. There are four levels. They start at 20,000 or fewer e-commerce Visa transactions or up to a million Visa transactions in total and rise to merchants that process more than 6 million Visa transactions a year. The list is long and so are the questions. So you have to be compliant. You can’t ignore it. But you also don’t have to worry about it. When you choose a credit card merchant service provider that’s PCI-compliant, that provider has to worry about it. the credit card merchant will be the ones handling the credit card data. They’ll be the ones that have to complete the questionnaires and read the requirements and make sure that everything works the way it should. And that’s the way it should be. Businesses shouldn’t have to worry about PCI compliance when they handle credit card payments any more than they should worry about pollution caused by power plants when they turn on the lights. Someone needs to deal with it, but that burden shouldn’t fall on the user. It needs to be handled further down the line, and for credit card payments, that means the merchant service provider. Due is PCI-compliant. We (and our lawyers) have read the questionnaires and plowed through the laws and standards to make sure everything is up to scratch. We’ve done it so that you don’t have to. Make sure that however you choose to accept credit card payments, you’re solving a problem, not giving yourself a massive new one. You need to know that you have to be PCI-compliant. You need to know that you have to use a merchant service provider that’s PCI-compliant. But you don’t need to know everything the company has to do to be compliant. You’re better off spending your time thinking about how to improve your business’s service. While the headline rate that you’ll need to pay to accept credit cards can look frightening, once you see the money coming in faster and from more customers, you’ll realize that there’s a good reason that just about every business is willing to pay it. The extra sales more than cover the cost of those fees. Some fees though are much higher than the 3 percent or so that you can expect to pay for each credit card transaction. Credit card companies protect their customers. So if a customer complains about a purchase after they’ve made it or if they report that their credit card was stolen, they can receive their money back. The money received from the sale is automatically deducted from your account… and in addition, the credit card company will also charge you a fee for the trouble. That fee usually ranges between $20 and $100. So in addition to losing a sale after shipping a product or completing a service that didn’t satisfy a customer, you’ll also have to give money to the credit card company. Stay in business long enough, and it’s inevitable that you will receive some chargebacks. They might not happen often but they will happen occasionally -- just as companies that accept checks occasionally find that a check bounces, stores with return policies sometimes have to take back faulty products (and even products that customers only claim to be faulty). Service providers who take cash occasionally find that they’ve accepted a fake bill. Stuff happens. But some of that stuff can be reduced. A credit has not been processed when the customer expected it would be. Merchandise ordered was never received. A service was not performed as expected. The customer did not make the purchase. Some of these reasons can and should be prevented by the seller. If a client is entitled to receive a credit, perhaps because you’re running a special offer or maybe because a member of staff promised money back on their next purchase, then make sure that they receive that credit. If the credit card company has to do it for you, the correction will be expensive. If you’re shipping goods, use tracking whenever possible. You can dispute chargebacks so if you can show that the merchandise ordered did reach its destination, you might just be able to persuade the credit card companies to dismiss the customer’s claim. 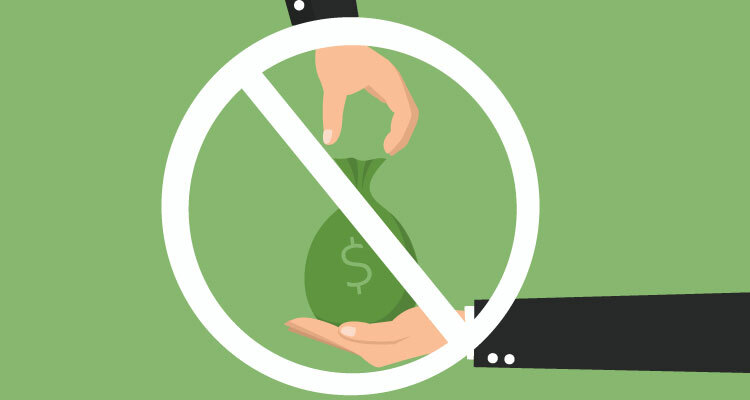 Disputes over the delivery of services after the payment has been made should be rarer but they can still occur if you demand some money before you begin work. If the customer isn’t happy, it pays to try to settle the dispute before the client turns to their credit card company. Even if you have to give them their money back, it will still be cheaper than a chargeback that will give the customer their money back and hit you with a fine too. Delivering quality products and a reliable service will always go a long way towards preventing aggrieved customers from asking credit companies for their money back. But credit card fraud remains a serious worry. On average thieves steal $35,600 every minute. In 2015, as many as 13.1 million people in the U.S. may have been the victims of identity fraud that allowed criminals to use their credit card numbers. Stay in business long enough, and it’s inevitable that you’ll make a sale to someone who pays with a stolen credit card number. When the owner of the credit card realizes, the credit card company will take the money back and hit you with a fee. It’s not your fault but there’s nothing you can do about it. So it pays to reduce as much as possible the chances of selling to a fraudulent credit card number. If the card looks problematic -- if its returns transaction errors, generates a “call” message, or is declined -- don’t push it. Ask for another form of payment. If you receive an order from a strange location -- a card with a U.S. address, for example, being used to make a purchase in Russia -- then call the credit card company to check before completing the transaction. If you find that you’re getting a large number of chargebacks from purchases made in a particular region then consider geo-restricting your website to cut out those areas. You can often tell when a credit card payment looks fraudulent. There’s often something suspicious about it, even if you can’t put your finger on what precisely is wrong. It stands out, and that gives you a chance to pause and check before completing the order. For freelancers, credit card fraud is a much smaller problem. Payments are larger but also fewer. If the first payment doesn’t clear, the work will stop. If the first payment has cleared, you’ll come to know the client well enough to understand that you’re not dealing with a criminal. You’re likely to be hit by credit card fraud much less frequently. The chargeback rate, calculated as the number of chargebacks each month divided by the total number of charges, is typically about one percent so you can expect to receive one chargeback for every hundred orders. But that’s an average, not a hard and fast rule. Entrepreneurs selling information products, for example, have managed to halve that rate by employing security measures at the checkout, tracking the chargeback rate carefully and prequalifying customers through inbound marketing. Other industries, such as the gaming world, can expect much higher chargeback rates, sometimes as high as 2 percent. That’s a level that’s likely to attract the attention of the credit card companies. Overall, you can expect to have to pay the odd chargeback fee. But if you’re paying out more often than once for every hundred transactions, you’ll want to take a close look at your marketing, your return policy, and your security measures. You’ll need to pay each of them a separate fee, complete all their forms and prove to each of them that you have the standing necessary to accept and handle credit card data. You’d need a merchant account, a payment processor and an Internet gateway to be able to accept payments online. Those days are long gone. It’s now much easier to accept credit card payments, from every credit card company, with one comprehensive rate, and to do it all from a single application. At Due that just means clicking the link that says “Enable Due Payments” on our payment platform. You can find it in User settings, under Payments. You’ll need to complete your "merchant onboarding settings" on the platform, but once that’s done, clicking the link will be all you need to do to apply for a merchant account. We’ll use the information you supplied on the platform to process the application, and within a day or two, you’ll be accepting credit card payments. It is that simple! The ability to accept credit card payments is nothing like as complicated as it used to be. It’s cheaper than it looks. And it’s now a necessity. At Due, we’ve made it as simple as clicking a link. Receive your payment on Due, and we’ll send it straight to your bank account. Your payment process will begin as a digital invoice. That invoice will generate a digital transfer of funds, and those funds can quickly end up with cash coming out of an ATM. But that’s not the only way that you can handle your income. You can also choose to keep your funds in a digital wallet. You can think of this as something like an online bank account. You won’t be able to pull out the money from an ATM and you can’t easily use it to make small purchases such as buying a cup of coffee in your local Starbucks, but you can use it to pay your own bills and make some purchases online. eCash provides a great deal of flexibility for anyone who spends time and money on the Internet. The money can come in different forms. The most common are digital fiat currency. Instead of seeing dollars or euros in your online bank account, you’ll see them in your digital wallet. Your wallet will be able to receive more funds, and you’ll be able to send your eCash from your wallet to other people’s wallets, a simple way to make payments online. In additional to those familiar currencies, though, recent years have also seen the rise of cryptocurrencies. These are currencies that have no existence outside of the digital sphere. They don’t have a central bank like the Federal Reserve or the Bank of England that determines the amount of revenue in circulation and sets the interest rates that can be earned for holdings. The big advantage of using eCash is the cost during usage: transfers of eCash from one digital wallet to another are usually free. While bank transfers require knowledge of account and IBAN or Swift numbers, eCash transfers need no more than an email address or a sequence of numbers and letters that function as an address — and often not even those details. It can be enough to have the recipient’s details in a contact list to be able to send them funds. And the transfer is instantaneous. There’s no waiting and no time to explain. As soon as you hit, “Send,” the money will be in the recipient’s account. The most common use for eCash is to settle small debts, such as to split a dinner bill or pay a friend back for theater tickets, but eCash is also very useful for both small businesses and freelancers. In this chapter, we’ll take a close look at why, when and how you should be accepting payments in a digital currency. There are some reasons that you should be willing to accept digital payments instead of a credit card payment or a check. As we already mentioned, the fees for eCash payments can be particularly low and are often free. That’s a benefit that can make a real difference to any business receiving payments online. Fees for credit card payments and some transactions on payment platforms are usually around 3 percent of the value of each transaction. So a freelancer earning $50,000 a year would pay $1,500 in fees to accept those payments. The “mining fee,” paid to send a payment in bitcoin is usually between 10 and 20 satoshis. That’s the equivalent of between $0.00009 and $0.00018. To put it another way, depending on the number of transactions that freelancer received over the course of the year, they could expect to save around $1,500. Speed is a factor too. Credit card payments are instantaneous but checks can take days to clear, and wire transfers can also take several days to wind their away between banks before you can use them. Transfers of eCash from one digital wallet to another happen within minutes. Transfers of cryptocurrency are complete as soon as miners confirm the transaction. While that too can happen in minutes, it’s a good idea to wait a couple of hours to make sure that the confirmation can’t be unwound. In any case, you’ll have your funds remarkably fast. Cryptocurrency also has the advantages of growing value. Bitcoin, the largest cryptocurrency, has a volatile exchange rate. If you had accepted a payment of $200 in Bitcoin at the end of October 2012, you would have received more than 2,100 bitcoins. If you had held onto those funds, at the end of January 2017, those 2,100 bitcoins would have been worth around $1,936,000. That one small job would have turned you into a two-time millionaire over five years. It’s hard to think of any other form of payment that could have delivered such an impressive return. If you’re looking for confidentiality, cryptocurrency also leaves no paper trail. While you’ll need to identify yourself when you open a wallet or change your currency, the digital ledger that records transactions don't show who sent or received the funds. For most businesses and freelancers that’s not likely to be much of a benefit. You’ll still have to declare the source of your income to the IRS but if you really want to avoid leaving details about your payments, then some forms of eCash can help to obscure your digital footprints. There is one more benefit to using eCash in the form of a cryptocurrency. The world of bitcoin and the blockchain has created its own little community. That community supports companies that produce bitcoin products. Those companies need service providers and other suppliers. When you show that you’re willing to accept payment in cryptocurrency, you also demonstrate that you’re familiar with the currency. Being willing to accept some forms of eCash may well land you more clients and more sales in a growing market. In general, you should always be prepared to accept as many different forms of payment as possible. Allowing digital transfers of fiat eCash when both you and the payer have digital wallets on the same platform may well be the easiest and the cheapest way to settle invoices sent online. But you should also be in a position to accept bitcoins if a payer offers them. Even if you don’t want to keep them and only plan to change them into a fiat currency as soon as they hit your digital wallet, you should be familiar with bitcoins and how they work. Accepting the currency your clients and customers offer will only make it easier for you to do business. It’s likely that you’ll find eCash to be the best way to receive most of your payments. The low cost and the quick transfer make it the ideal way to receive your money. Clients and customers might be more used to paying with their credit cards but if you can move them towards transferring eCash through a direct payment on a comment payment platform like Due, you’ll save lots of money. You’ll have to tell them that that’s what you want. When you send the invoice, include in the comments a note explaining how you want to be paid. On Due, that means they’ll only need to know the email address you used to register on the platform though they will also need to register in order to make the first payment. It’s best to explain the procedure when you accept the job and as you’re discussing terms. You can still be flexible but it doesn’t hurt to lay out your preference. The requirements of sending are simple enough for the customer to have few objections. Receiving a cryptocurrency is a little more complex -- but not much. First, you’ll need a digital wallet. You can find a list of sites that supply wallets at https://bitcoin.org/en/choose-your-wallet. The wallet will give you two long strings of numbers and letters. One of those strings is your private key. The other is your public key. To receive funds, all you need to do is provide your public key. The blockchain — that digital ledger — will keep track of the bitcoins associated with that public key. You’ll need to combine that public key with your private key in order to transfer the funds, including to an exchange that is willing to turn them into dollars or other fiat currencies. Lose your keys, and you’ll lose your funds. If anyone obtains your keys, they can take your funds. It pays to keep them safe. You can pay directly with bitcoin, and you can also use bitcoin to buy gift cards whose credits can cover payments to firms that don’t accept cryptocurrency directly, such as Starbucks and Amazon. Platforms like Bitmex and other blockchain companies even work as cryptocurrency futures markets, letting you invest your earnings in currency markets, using leverage to increase your bets. If you understand how currency markets work in general — and the cryptocurrency market in particular — you might find yourself able to make some useful investment profits. Digital wallets allow you to keep your revenues in an easily accessible online location. You can use them to make payments for online purchases without reaching for your credit card, and you can also use them to pay freelancers and other businesses. Just as any credit card processing, or any payment processing has security risks, all digital wallets face security threats, as well. Platforms can be hacked and so can computers, complete with their files containing lists of passwords. 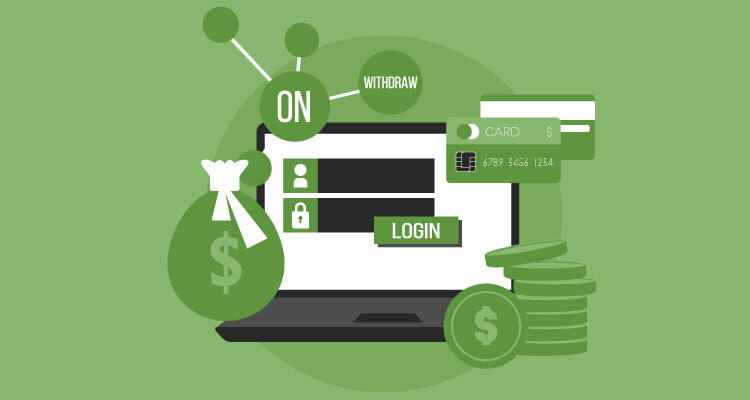 In practice, that’s no different to the risks faced by people who use online bank accounts. They too can be hacked and sometimes are. 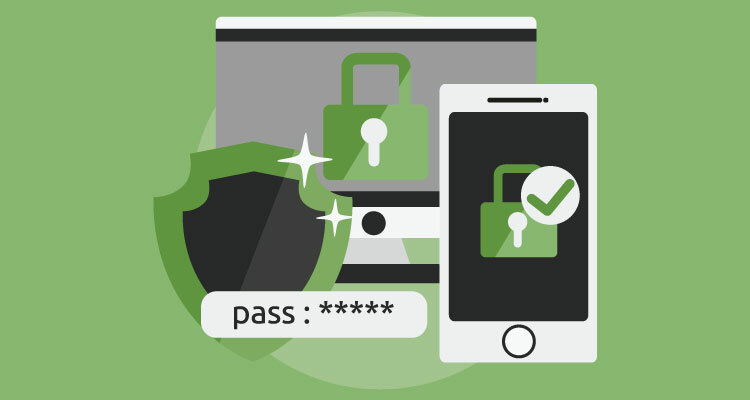 Make sure that you keep all your passwords safe, and be sure to use two-factor authentication whenever possible. If you think your digital wallet has been compromised, contact the platform immediately. At Due, we’ll change the password right away and check the account to make sure that there hasn’t been any suspicious activity. Cryptocurrency wallets are equally at risk of security breaches. In 2014, Mt. Gox, then by far the biggest bitcoin exchange, collapsed into bankruptcy. The fall wasn’t unexpected. In the previous months, hackers had stolen $460 million worth of bitcoin from the exchange, and another $27.4 million was missing from the company’s accounts. The combination of a valuable asset that sits on servers, the challenge of hacking away in, and the knowledge that it’s possible to rob a bank and make off with large sums without having to wear a stocking over your face or the saw the end of a shotgun has provided highly attractive to some geeky criminals. Keep your eCash in a digital wallet, and you’ll always be at some risk of robbery. Keeping your passwords secure is one important, and obvious, requirement. You should also make sure that any digital wallet you use is properly encrypted and that the company takes security seriously. At Due, we don’t settle for the security industry standards. We try to exceed those standards whenever we can. But if you’re accepting a cryptocurrency, there’s an additional risk you need to consider. Although accepting $200 in bitcoin in 2012 would have given you nearly $2 million five years later, if you had accepted the same amount in November 2013, by January 2015 you would have had little more than $40. The small volumes, lack of a central bank, and uncertainty about the future of the currency have made it highly volatile. Hold onto your bitcoins and there’s a chance that it could lose a significant amount of its value before you have a chance to use it. There’s little you can do to mitigate that risk. Currency trading platforms like Bitfinex allow you to place limits on trades, effectively fixing the flat price that you’ll receive for your eCash now. It’s effective, but it’s complex. A simpler option is to change some of the eCash into fiat, hold onto the rest and keep an eye on the exchange rates. As long as its rising, you’ll be earning but if it looks like it’s going to tank -- as with any of your investments, it may well to get out quickly. You can always build your holdings up again with your next round of invoices. eCash is very simple. It refers to the digital funds you keep on an online payment platform. You’ll receive that money whenever a client or a customer makes a payment on an invoice you’ve sent. Although at Due we currently send those receipts directly to our users’ bank accounts (where they become real cash), there are advantages to keeping your funds online, especially if you have online payments of your own to make and want to save money on transfer fees. The rise of cryptocurrencies to has opened new opportunities, both to earn from rocketing exchange rates and to join a whole new financial world independent of government. However you decide to accept eCash, once you start sending digital invoices, you can expect to find that you’re receiving it. Know how you want to accept it, and know how you’re going to tell your clients where to send it. In 2015, Chinese retail websites sold 3.877 trillion yuan worth of goods. That represents around $589.61 billion worth of sales, an increase of 33.3 percent on the year before… and it’s nearly double the $341.7 billion the U.S. spent online in the same period. Not only is China spending more money overall online but it’s also preferring to shop online. Online sales made up 12.1 percent of all retail sales in China in 2015 compared with just 7.3 percent in the United States. For any company or freelancer doing business online, those figures should be a wake-up call. The world isn’t limited to North America. The U.S. and Canada may be important markets, but the Internet makes the whole world a market. To win sales from every part of the globe, the challenge should always be marketing and localization. It should never be logistics. You should always be able to take an order from a customer in Beijing, Bulawayo or Birmingham with the same ease and confidence that you can take an order from someone in Burlingame. You should be able to send them an invoice laying out the work you did for them and how much it costs. You should be able to accept their payment too. At Due, we recognize that more and more business are conducting transactions with customers all over the world, and much more would like to do so. As we planned our credit card payment service, we took that demand into account and made sure that it was capable of accepting payments made right around the world. You will still need a US bank account; we’re a US-based company, and we can’t currently support accounts outside the US. But we have managed to implement a system that allows businesses to accept payments from many countries around the world. Before you start translating your website into Chinese and Russian and being looking forward to counting your Renminbi and your Rubles, however, there are a few things you need to bear in mind. Imagine you’ve landed a big sale in France. The effort you put into translating your website has paid off. You’ve beaten the local competition, and you’re moving into exports. It’s a big moment for your business. But the client wants to know how much you’ll charge for work that could take you a year or more. Usually, that would be a simple question. You could just quote your usual rate. But when you’re dealing with a foreign currency, it’s important to bear in mind that the value of the currency will change over that period. During 2016, the British pound fell from around $1.50 to $1.22. If you had charged $10,000 for a job at the start of that period, the expected sterling price of £6,667 would have risen to £8,197. It’s a significant difference and one that might have caused problems. You shouldn’t have been too surprised if the buyer had contacted you during that year, complaining about the higher cost in their own currency and asking for a rate cut. 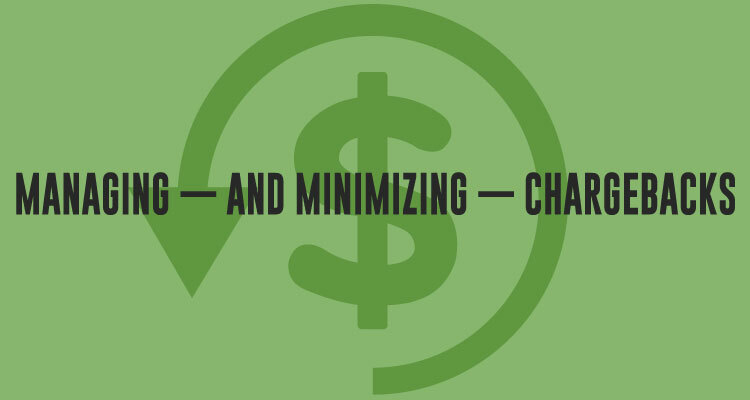 Changes that sharp in the exchange rates don’t happen too often but they can and do happen. Large firms that conduct multi-million dollar transactions handle those changes by buying futures -- they fix a price now that they’ll pay for their currency in the future. As a small business or a freelancer, you’re not going to be able to do that. What you will be able to do is bear the exchange rates in mind. You can quote your rates in the buyer’s currency if you don’t mind receiving sterling, euros or whatever the currency might be (a Due invoice can be delineated in more than a dozen currencies) but there’s no harm in asking for dollars. Buyers understand that the dollar is as much an international currency as an American one. Just keep an eye on the exchange rate. Know that if either your currency or the buyer’s currency starts to look wobbly, you might need to adjust the price. Be prepared with a plan if that happens. That plan might be to fix the rate at a particular level, such as the day the job started rather than the day to which you send the invoice, or it could be to increase the work delivered to match the higher price that the client has to pay. Bear in mind too, that the volatility of the exchange rate can affect you negatively too. If you’ve priced your job in a currency that falls 20 percent between the deposit and the final payment, you’ll have taken a 20 percent cut in your income. Again, you can try to renegotiate your contract but when you’re working in more than one currency, and the amounts are large enough to matter, it’s a better idea to limit the damage. You can include in your contract a paragraph that limits variations in currency to no more than 5 or 10 percent. Place those breaks in each direction and the client should have little objection to agreeing to the restriction. We started this chapter by mentioning the potential for growth in China. That’s because being able to pitch to high-growth areas is a significant advantage for any business or freelancer. In today’s globalized world, there’s no reason you should limit yourself to your own region. At Due, we accept just about all major currencies, including Chinese Yuan, but some countries pose unique problems. Your foreign clients are likely to be paying with their credit card or debit card, whether that’s a Visa, Mastercard or American Express. Head off the tourist path in China, though, and try to pay with your foreign credit card, and you’re going to run into trouble. Waikato, or foreign cards, just aren’t accepted outside the major cities -- and not in all places in the major cities either. UnionPay, a Chinese company, has a virtual monopoly over credit cards in China but the cards aren’t accepted outside the country. They’re not part of the regular clearing system that businesses outside China use to transfer funds and check credit. Bear in mind too that China’s firewall doesn’t just restrict information. It also protects Chinese Internet businesses by blocking access to U.S. Internet giants. Despite intense efforts by Mark Zuckerberg, for example, Facebook is still banned from China. So are Google, Twitter, and Paypal. The result is that WeChat, China’s biggest social network has morphed into a giant that packs all sorts of functions, including peer-to-peer payments. China also has its own search engine in the form of Baidu, and the makers of Alibaba have filled the gap left by Western payment platforms. That doesn’t mean that you can’t do business with China -- or with any other country that throws up restrictions. But even when you have a method of accepting international payments in a range of different currencies, you’ll still have a pile of challenges to overcome before you can expand. Before you start your international marketing, make sure that you can reach your foreign customer base — and make sure to that that they can make the payments. No small business or freelancer ever enjoys sending invoices. Receiving the payments is a pleasure but asking for them is always a chore. The less time you have to spend filling in the details and checking your quotes, the better. The easiest method, especially for a business or a service provider selling online, is to use a payment platform like Due. It makes creating the invoices a breeze. It makes managing the invoices a breeze, and it makes receiving just about any form of payment, including credit card payments, a breeze. This process can make sure that no invoice is ever forgotten and that the payments just flow in smoothly, as they should. In this guide, we started by explaining how to create an invoice. We talked you through the elements that make up the invoice and why a professional-looking invoice can help to ensure timely payments. We also explained how Due makes it easy to find unpaid invoices and send slow-paying clients reminders. That’s usually all they need. We then talked about credit card payments. It used to be hard for a small business to accept Visa, Mastercard and other credit and debit cards. On Due, it’s just a matter of clicking a link and completing a few details about your business. Once that’s done, you’ll be able to offer your clients and customers the payment method they prefer. We also explained the fees involved in accepting credit cards and discussed some of the most efficient ways of reducing chargebacks, the most expensive kind of fee a credit company might charge. They are a part of doing business but with a little care, they don’t have to be a large part of your business. As eCash and cryptocurrencies like bitcoin become increasingly popular, we provided a brief introduction to how they work and how to use them. Cryptocurrencies might not be for everyon and not every client will be willing to pay for them, but those that do will be very grateful that you accept them and the world of bitcoin can open a field of new freelance and business opportunities. Finally, we discussed international payments. Being able to accept payments in a range of different currencies is a huge advantage when you’re selling online. There’s no reason that your business should limit itself by geography. You should be able to accept clients and sales from anywhere, even if you still have to face the marketing challenge of reaching and serving those customers. For most freelancers and small businesses, payment requests begin with the creation of an invoice. Creating that first invoice will feel like work. Changing the details on future invoices will feel less like work. Receiving the money your business has earned from your efforts won’t feel like work at all. It starts with an invoice and ends with a feeling of satisfaction.